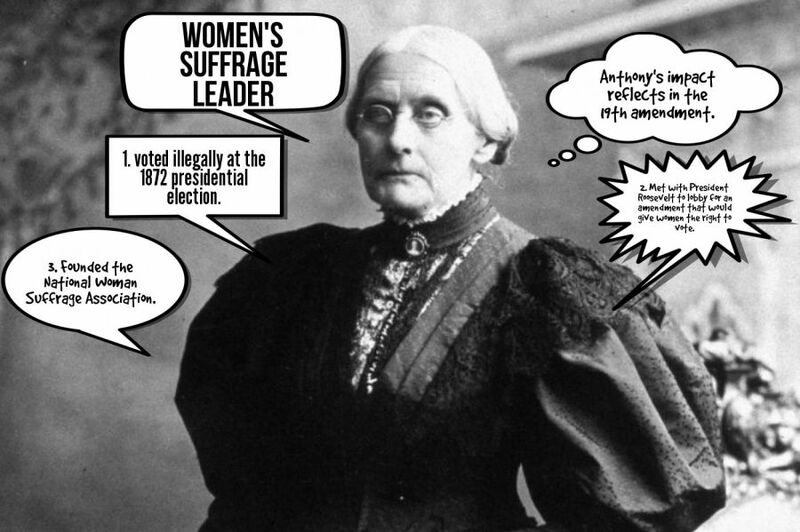 Anthony's impact reflects in the 19th amendment. 1. voted illegally at the 1872 presidential election. 2. Met with President Roosevelt to lobby for an amendment that would give women the right to vote. 3. Founded the National Woman Suffrage Association.